The Scenery Preservation Board originated in a coalescence of interests in about 1900. Among groups such as the Tasmanian Field Naturalists Club, the Royal Australian Ornithological Union, the Royal Society of Tasmania and walkers, the idea germinated that areas should be preserved in their primeval state for scientific interest or aesthetics. The Scenery Preservation Board was created in 1915. It consisted of the Surveyor-General, the Commissioner of Railways, the Engineer-in-Chief, a representative of the state Tourism Department and 'three gentlemen who were enthusiasts in the field of scenery preservation'. The Board's principal function was to recommend reserves of lands of scientific or historical interest and to administer them either itself or through subsidiary boards. The only criteria the Board applied when assessing a potential reserve were amorphous references to scenic or historical importance. Proposed reserves were submitted to government departments such as Mines, Forestry and later the Hydro-Electric Commission for approval. If objections were raised the idea was scrapped. The hierarchy of priorities was clear, so reserves were proclaimed because they were wasteland or had tourist potential. Despite this haphazard process, by 1971 when the Board's work was subsumed within the National Parks and Wildlife Department, over 100,000 acres of reserves had been created. The initial Act made lands reserved inalienable. Amendments made revocation possible. 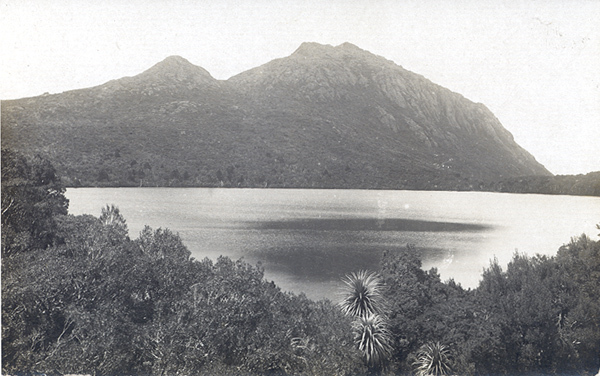 This occurred in parts of the Cradle Mountain, Hartz, Mount Field and, famously, Lake Pedder reserves and parks, when economic and resource interests outweighed scenic or tourist value. These early debates were the beginning of a broader environmental discussion that is a feature of Tasmanian life today. Further reading: G Castles, 'Handcuffed volunteers', Honours thesis, UT, 1986.